Happy Hanukkah & Thanksgiving everyone! I bless you all with happiness & light throughout the whole year! Today I’m thankful for so many things… My husband, who is so supportive and loving and never stops making me laugh. My baby who is growing up too fast. My family. My friends. Good health & sunshine! I’m also so thankful for my readers. I truly am so grateful for all of your continued support! From my home to yours, wishing you happy holidays!! p.s. 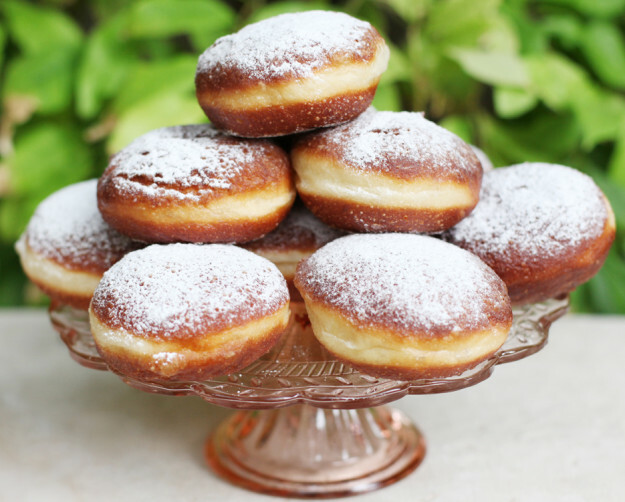 great Sufganiot recipe and article from the New York Post!